Lithuania is a fairly young member of the FCI and the European Union. For this reason cynological culture is still developing in our country. Therefore, we are happy to create and promote new things as they are always inspiring. We are happy to do what needs to be done in order to provide our society with required information and help. Two years ago the Lithuanian Kennel Club established the Education Centre (EC) which was finally formed just in the begining of 2014. The vision of the EC is to become a leader of cynological education in Lithuania. It means to teach people responsible behaviour and interaction with dogs, develop a pet loving society. No coincidence our slogan is „Creating pet loving country!“ and the values the EC declares are well-being of people and pets, co-operation and responsibility, competency and experience. The Lithuanian Kennel Club could not afford a big team of employees so the necessity of helping hands was huge. This is how the EC brought together a group of volunteers and prepared them to work in team. Currently, the EC has about 20 volunteers whose help is priceless. What activities of the EC are the most supported by society? Lectures at children education institutions which are held 3-4 times per month in different cities. Lectures are conducted by experienced cynologist with specially tested dogs and volunteers. The topic of every lecture depends on children‘s age and needs. They vary from „Dog‘s body language“ and „First contact with a dog“ to “Feeling safe by a dog“. We always highlight the aspects of pet well-being and the importance of creating pet loving country. Furthermore, we meet children in summer camps and other events for children and family to discuss this topic. We are working on continuous projects – 6-month project in children shelter „SOS Children Village“ together with our partner – MARS corporation. Every Saturday our team together with tested dogs visits children shelter. The aim of these visits is to inculcate moral values through socialisation with dogs, to motivate children for communication, learning and self-improvement. Educational activities for the whole family are also conducted during international dog shows organised by the Lithuanian Kennel Club. We prepare an exclusive area at every show where questions how to raise and treat a dog are answered. Also, we invite children with teachers or parents to come and participate in our prepared activities. Since January the EC offers a series of 7 free lectures „I want a dog. How to choose the one which suits me most?“. Dog breeders, trainers and vets share their experience with audience and, as usual, dogs participate in every lecture. We educate people about cynological matters before they adopt a puppy. First lecture has revealed people take their future responsibilities seriously. 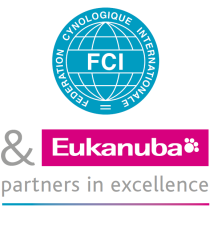 The EC provides opportunities for experts in cynological world to improve their knowledge – judges, breeders, dog trainers, dog-club leaders and others participate in seminars. The interesting aspect of our activity might be lectures for the target audience: teachers (we provide lessons according to the Ministry of Education‘s confirmed programme „Child‘s safety“), „Lithuanian Gas“ employees which may experience an interaction with a dog during their duty and has to know the right way to behave, firefighters and others.